Do you need to apply to the Hardship Fund? 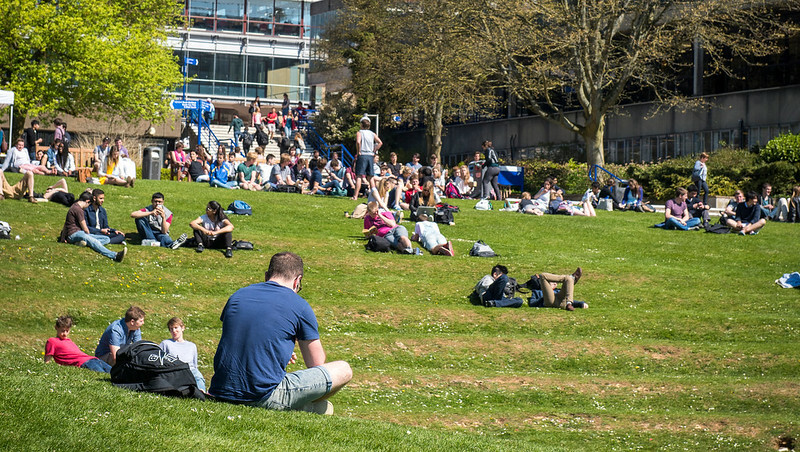 The University of Bath Hardship Fund provides limited discretionary financial support for students who are experiencing financial difficulty and are unable to meet basic or unexpected additional costs from other sources of support. The fund can also offer limited support to students who have experienced a change in financial circumstances due to unforeseen events. The fund is intended to act as a safety net for those in financial difficulty rather than a main source of income. The size of the fund is limited and we may not be able to meet your need in full or guarantee that funds will be available, especially towards the end of an academic year. Awards are discretionary and are paid in the form of a non-repayable grant. The hardship fund cannot fully compensate for the lack of parental contribution; especially where a student has only been able to take out the non-means tested part of the Student Loan though some limited support may be available. If you already hold a Higher Education (H.E.) qualification which is the same or higher than the course you plan to study then you may not be eligible for statutory funding for the Student Loans Company. If this is the case then you will not be eligible to receive an award from the Hardship Fund. The maximum award payable in exceptional circumstances is £3,500. The hardship fund is open to students classed as UK, EU and International, including students on level 4 to 5 pre-sessional courses. Exchange and Study Abroad students coming from overseas to study at the University of Bath are not eligible to apply to the fund. Students on online postgraduate taught courses are also not eligible to apply to the fund. If you are studying part-time then your course must be equivalent to at least 25% of a full time course. Before applying to the fund you must have applied for (if applicable) and received the maximum amount of statutory funding available i.e. maintenance loan/grant to which you are entitled during the academic year. Students who choose not to apply for their full entitlement will not be eligible to apply to the fund with the exception of funding for diagnostic tests. If you are entitled to welfare benefits these should be applied for before submitting an application to the fund. Any award from the fund may affect your benefit payments, but on request we can produce a letter for your Job Centre Plus/Housing Benefit office, which will confirm whether or not the award will affect your benefits. The Fund cannot fully compensate for the lack of parental contribution, especially if you have only been able to take out the non-means tested part of the Student Loan. Please note the fund cannot be used to assist towards the payment of tuition fees with the exception of part-time home and EU undergraduate students (pre-2012 entry) who can apply for funding under the Additional Fee Support Scheme. This is only available to part-time undergraduates on lower incomes, where the fee grant does not meet the whole amount. You can apply to the fund at any time during the year but this must be more than four weeks prior to your official course end date to allow time to assess the application. Applications submitted in the final four weeks of a course cannot be considered. You may apply more than once during an academic year for help from the fund, but subsequent applications may only be considered if your circumstances have changed. Your application with accompanying evidence will be retained for six years from the date it is submitted and then destroyed in confidential waste in line with University policy. Provided your application form is accurately completed and all the appropriate documentary evidence has been supplied a decision will be made within four weeks of submitting your application. We will write to you with the outcome of the panel’s decision and when you can expect payment (if applicable). This will also include details of how to appeal if you are not satisfied. If you are unable to wait this length of time and need more immediate financial assistance you can apply for a Short Term Loan. Non-standard awards can be made to help meet exceptional or unexpected costs such as repairs to essential household equipment or assist with emergency situations e.g. travel for family illness or bereavement. In addition, the fund can consider costs for disabled students which are not met by the Disabled Students’ Allowance (DSA). This will be done on a case by case basis and the level of support will be determined by available funding resource. If you wish to be considered for a non-standard award you will need to provide us with as much information as possible to support your application.